A Florida man who was the second in the U.S. diagnosed with MERS has recovered and was discharged from the hospital, even as health care officials across the nation raced to test hundreds of people to see whether there’s any evidence they were infected with the virus, even if they didn't get sick. So far, it still does not appear that the mysterious Middle East respiratory syndrome transmits easily and the risk to the general public remains low, even though a third person appears to have been infected by more casual contact, officials with the Centers for Disease Control and Prevention continued to caution. "At this point, we don't think there's a risk to the general public of spread of this virus," said Dr. Anne Schuchat, the director of the CDC's National Center for Immunization and Respiratory Diseases. "We think it's very important in hospitals and health care settings for doctors to suspect this virus, to test for it appropriately when they talk to people who have respiratory symptoms who've traveled back from the Arabian Peninsula in the past two weeks," she told NBC News on Monday. "We think it's very important for the traveling public to think about this illness if they develop sings or symptoms of cough and shortness of breath or fever after coming back from the Arabian Peninsula." "At this point, we don't think there's a risk to the general public of spread of this virus." So far, three people in the U.S. have been infected with the virus, which has sickened more than 570 people and killed 173, mostly in Saudi Arabia. They include the first two confirmed cases, the 44-year-old Florida man and an Indiana man in his 60s, both health care workers who recently traveled from Saudi Arabia. And they now include an Illinois businessman who shook hands with the Indiana patient during a face-to-face, 40-minute meeting and later showed signs of recent infection in his blood, even though he didn’t show any signs of illness. Officials from the CDC and state health departments are reaching out to more than 500 people who have had contact with any of the three men, said Dr. David Swerdlow, who is leading the agency’s investigation. So far, the risk of widespread transmission appears to be low. “But be aware that things could change,” Swerdlow said. In the case of the Florida MERS patient, hospital officials said that all of the health care workers and household members who came in contact with him have showed no signs of active infection and have tested negative for MERS through respiratory tests. But blood tests on those patients are not finished and could take a week or more to be complete, Swerdlow said. It’s the same situation for the first patient, the Indiana health care worker. None of his contacts showed signs of active illness, but the results of blood tests are still not in. And it could take a while to get those results from the nearly three dozen states reaching out to everyone who rode on planes, buses and other forms of transportation with the MERS patients. The third MERS infection is puzzling because it appears to have been spread during contact, but not the intimate health care or household contact that has made hospitals ground zero for the spread of the disease. Analysis of MERS cases in Saudi Arabia showed evidence that about 20 percent of contacts of people who were sick had been infected with the virus but showed no signs, Swerdlow said. If it turns out that many more people can be infected but not get sick, it could raise new questions about how the virus spreads, but it also could dramatically lower the estimated fatality rate of MERS cases, now estimated at about 30 percent for those with the most severe illness. 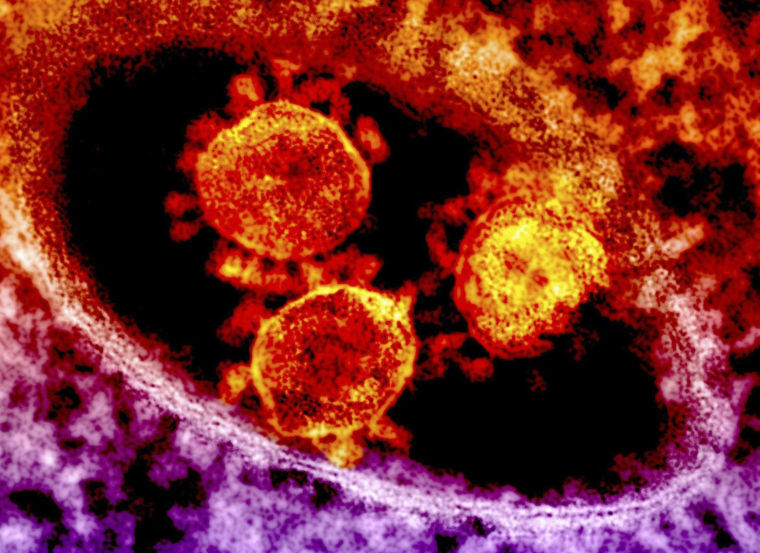 U.S. health officials have been gearing up for signs of MERS in the U.S. since 2012, when the virus was first detected, Swerdlow said. Even before the first cases were confirmed in the U.S., doctors across the country had tested about 220 travelers who showed symptoms consistent with MERS, though they didn’t wind up having the disease. “We do anticipate that there will be introductions and because of that, we’ve been preparing for a year and a half,” Swerdlow said. In the meantime, the CDC has stepped up its cautions for travelers and is urging anyone to goes to the Middle East to use good infection control procedures, to wash their hands and to report any signs of illness immediately during or after their travel.